Disclaimer: I worked with Maytag to create this content for you. All opinions are my own & I only recommend products or services I use personally and believe my readers will enjoy. Our move is finally complete, although we are still unpacking. It will take us a little while longer to settle in. I am anxious to get to every room (and decorate), but the most important room to get unpacked and up & running was the laundry room. We had piles of clothes and bedding to wash. After all, we had been living in our RV for the past two weeks. Let me tell you, campground laundry rooms are not an ideal place to wash clothes. I also posted a video of my new appliances on my YouTube channel – so be sure to take an in-depth look at them over there! 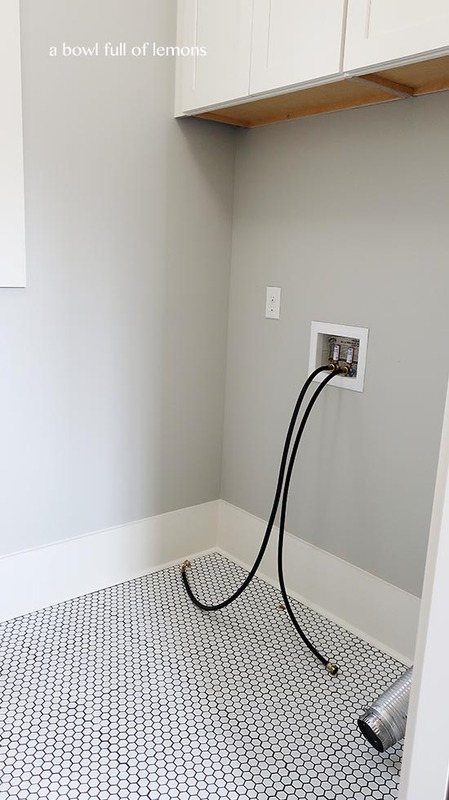 Here is a photo of the laundry room before our appliances were delivered. 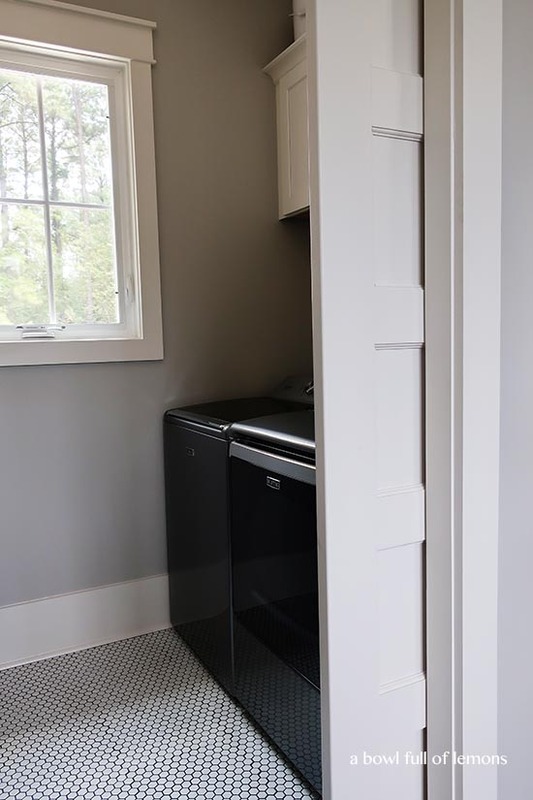 It’s a small space but very functional with enough cabinetry to store cleaning supplies and laundry detergent. I researched several appliance companies and finally settled on Maytag. They have been building dependable appliances for over 100 years now! 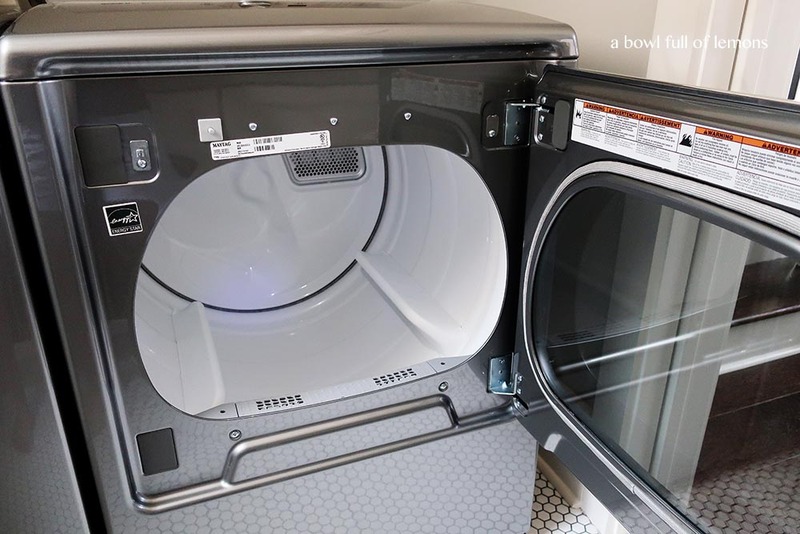 We decided to go with a top loading washer this time around, but see here for a helpful tool in case you’re debating on what style best fits your needs and space. I also went with a large capacity washer & dryer. I am amazed at the difference in laundry time with these new machines. I feel like it takes less time to do laundry now and it’s actually enjoyable! I love the Metallic Slate color. It’s sleek and clean looking. 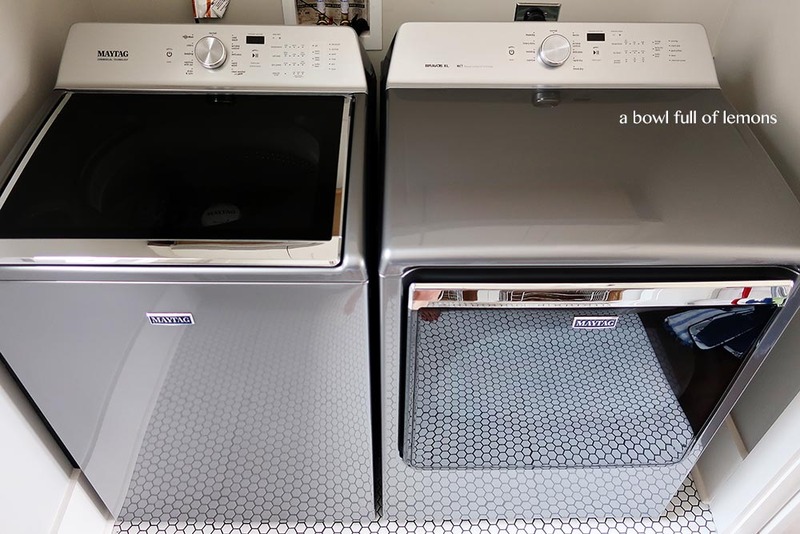 I chose the Maytag top load washer with deep fill option and power wash cycle (5.2 cu ft) It’s a #1 rated top load agitator washer by a leading consumer magazine and the PowerWash® agitator helps clean the clothes with efficient, concentrated cleaning! (Here’s a guide on agitator vs. impellor washers – in case you’re curious and want to learn more about how they work and differ). I also love the Rapid Wash cycle. 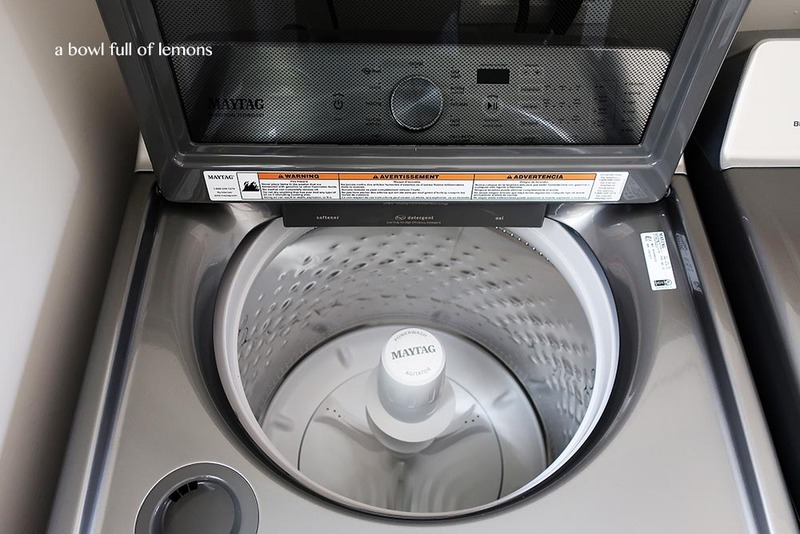 It allows me to wash a lot of clothes in a shorter amount of time, by boosting the temperature. I love our extra large capacity Dryer. It has advanced moisture sensing to stop the load at just the right time – even with my larger loads. 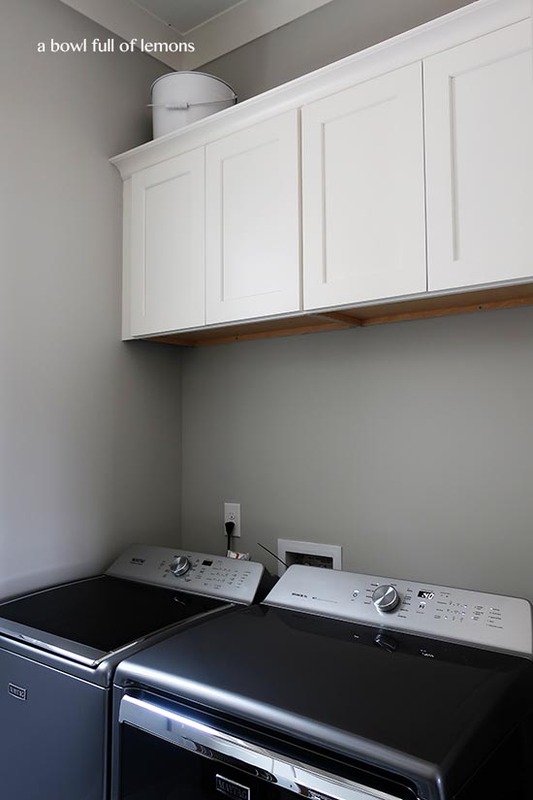 I have plans to install a chrome pole to hang wet clothes on, below these cabinets. 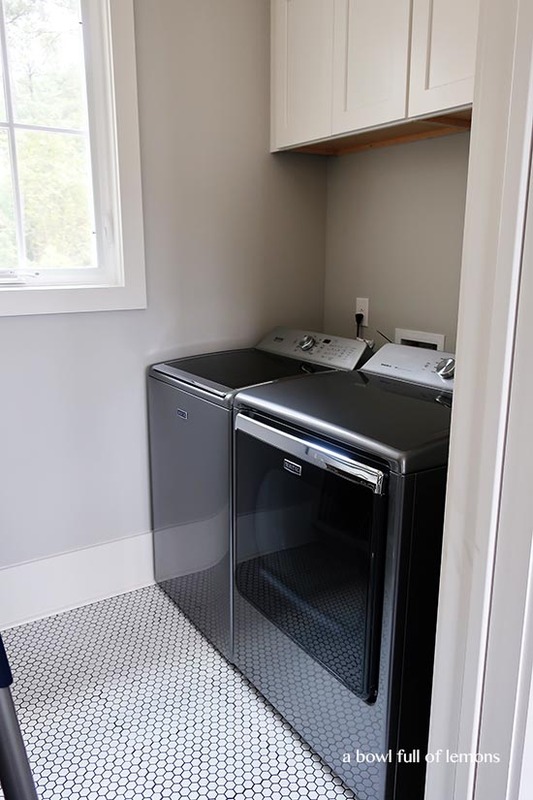 Stay tuned for the FINAL laundry room reveal, but I’m thrilled to have these appliances tackling my laundry loads in the meantime! I will be sharing more of my laundry room so be sure to subscribe to my email list, to get up to date notifications. Have a great day. Disclaimer: I partnered with Maytag to create this content for you. All opinions are my own & I only recommend products or services I use personally and believe my readers will enjoy. I am disclosing this in accordance with the Federal Trade Commission’s 16 CFR, Part 255: “Guides Concerning the Use of Endorsements and Testimonials in Advertising. Please click here for full disclaimer.